I wouldn't even dream of spending £8.00 on a regular shower gel except for this one. When I first bought this, I loved the idea and sound of a shower 'butter', a body wash which doubles up as a moisturiser which smells un-believ-able. It leaves my skin ridiculously soft, and the scent of shea butter lingers for a really long time too. 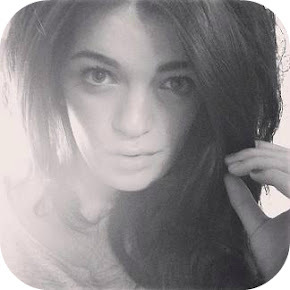 So I know I only posted my current skincare routine recently and I did warn you that I was sceptical to change. A change which took place within a few days because I rediscovered my love for this night cream! It's such a lovely consistency and doesn't feel too heavy on the skin but still leaves my skin extra soft and hydrated in the morning. Now this is an all time favourite not only of mine, but probably hundreds and thousands of bloggers and other girls too. 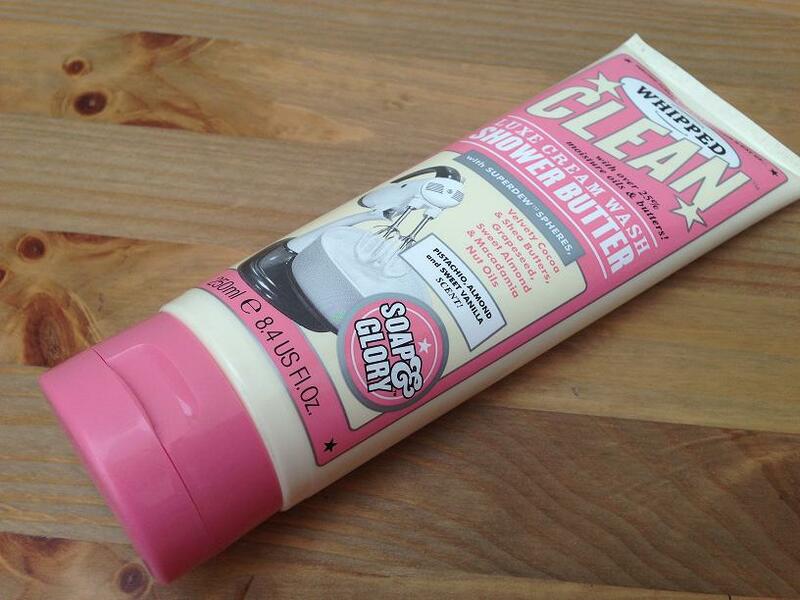 I bounce between this and good old Palmers cocoa butter but still prefer this. It is such a nice product to use after a long hot bath and the extra rich formula leaves problem areas like knees and elbows soft beyond belief. I think this is a relatively new product from Soap and Glory and I've been hooked since I received it in my 'Best Of All' gift set (read my post about it here). I know I've always named a body moisturiser in my 'Top 5' but Hand Food doesn't even need to be spoken about as it's my favourite. The yoghurt, oat and honey formula leaves skin moisturised without being greasy and it sinks in really quickly too. I mentioned that I use this in my current skincare routine and I am still absolutely loving it! It's one of those products that I look forward to using and it's not a chore to cleanse my face like some others. It smells gorgeous and melts away make-up like a dream. 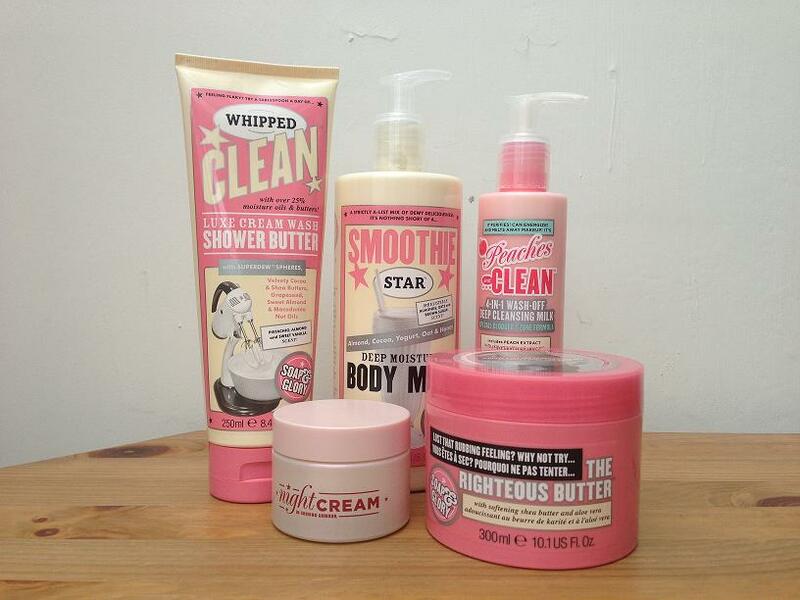 I love the smell of soap and glory products...mmm, I love their body butter and also their sprays! Have you tried their make up! I got my first piece from their collection -a lipstick and its really nice!